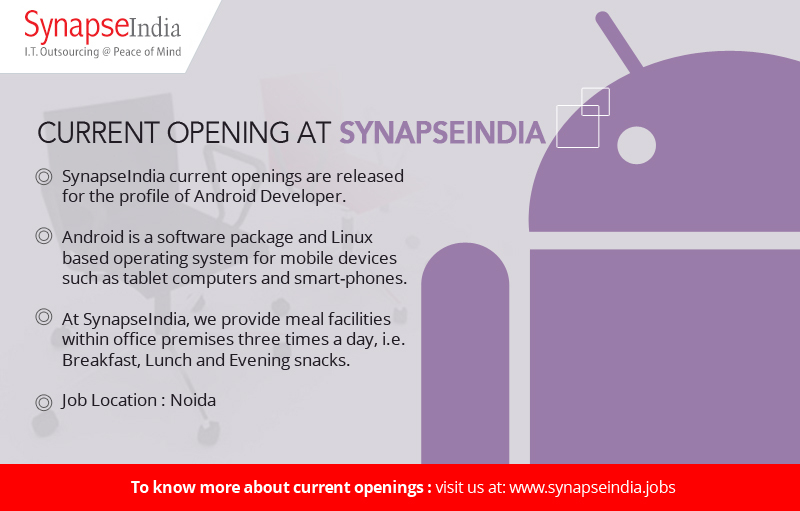 SynapseIndia current openings are released for the profile of Android Developer. Android is a software package and Linux based operating system for mobile devices such as tablet computers and smart-phones. founder of SynapseIndia, says “Android is a leading mobile operating system. It also offers thousand of free and easy to download applications.” At SynapseIndia, we provide meal facilities within office premises three times a day i.e. Breakfast, Lunch and Evening snacks.